This applicaiton is to be aware of the recent happenings near the user. 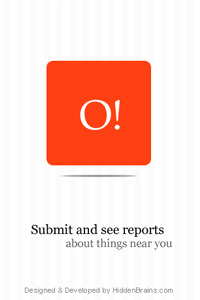 The user can also submit the reports of what is happening nearby by using this application for the other users. User can view various reports of what is going on nearby as a list. For listing the events and happening near hum, user can submit Photo Report by tapping on the Camera icon in the application.